J. Chem. Thermodynamics 112 (2017), 7-12. Journal of Nuclear Materials 485 (2017), 129-136. J. Chem. Thermodynamics 103 (2016), 107-114. J. Nucl. Sci. Technol. 53 (2016), 1881. ISIJ International 56 (2016), 719-722. Z. Phis. Chem. (2015) 0654. J. Chem. Thermodynamics 91 (2015), 116-120. Phys. Rev. Lett. 114 (2015), 177401. Int. J. of Microgravity Sci. Appl. 32 (2015),320106. Nat. Commun. 5 (2014), 5892. Trans. JSASS Aerospace Tech. Japan 12 ists29 (2014), Ph-25-29. Meas. Sci. Technol. 25 (2014) 085301. Johnson Matthey Technol. Review. 58 (2014), 124-136. J. Appl. Phys. 113 (2013), 193503. Crystalgrowth &amp design 14(2014), 1103-1109. Materials Science and Engineering: R: 76 (2014), 1-53. J.of Chemical Thermodynamics 65 (2013), 1-6. J. Am. Cer. Soc.96 (2013), 955-1002. Meas. Sci. Technol. 23 (2012), 125602. Phys. Rev. Lett. 108 (2012), 067402. Meas. Sci. Technol. 23 (2012), 025305. Advances in Optical Technologies (2011), 454829. Materials Transactions 51 (2010), 1510-1515. Int. J. Thermophys 31 (2010), 388-398. J. of Chemical Thermodynamics 42 (2010), 856-859. Acta Materialia, 58 (2010), 1829-1836. Rev. Sci. Instrum.80 (2009), 013906. J of Materials Research 24 (2009), 2449-2452. J. of Non-Crystalline Solids355 (2009), 317-322. Int. J. Thermophysics 29 (2008), 2015-2024. J of Jpn Soc. of Microgravity Appl. 25 (2008), 407-412. J of Jpn Soc. of Microgravity Appl.25 (2008), 399-402. Acta mater. 54 (2006), 3791-3799. Journal of Crystal Growth 292 (2006), 480-484. Int. J. Materials and Product Technology, 26(2006), 274-291. Applied Phys. A, 79(2004), 1965-1969. Joint Conference ISPS-7 & ELGRA-25 Juan-les-Pins, France (Oct. 2017). 21st European Conference on Thermophysical Properties PMSHT – O16 Graz (Sep. 2017). 31st ISTS 2017-h-23 Matsuyama (Jun. 2017). 31st ISTS, 2017-h-19 Matsuyama, (Jun. 2017). 31st ISTS, 2017-h-18 Matsuyama, (Jun. 2017). 31st ISTS, 2017-h-16, Matsuyama, (Jun. 2017). 31st ISTS, 2017-h-15, Matsuyama, (Jun. 2017). 31st ISTS, 2017-h-14, Matsuyama, (Jun. 2017). 31st ISTS, 2017-h-12, Matsuyama, (Jun. 2017). 11th Asian Microgravity Symposium, 28Ele-3 Sapporo, (Oct. 2016). 11th Asian Microgravity Symposium, 29Ele-2 Sapporo, (Oct. 2016). 11th Asian Microgravity Symposium, 29Ele-1K Sapporo, (Oct. 2016). 11th Asian Microgravity Symposium, 27thFu-1K Sapporo.(Oct. 2016). the 11th Asian Thermophysical Properties Conference, P-115, Yokohama ,(Oct. 2016). the 11th Asian Thermophysical Properties Conference, P109 Yokohama ,(Oct. 2016)..
the 11th Asian Thermophysical Properties Conference, OS17-12 Yokohama ,(Oct. 2016)..
the 11th Asian Thermophysical Properties Conference, OS17-03 Yokohama ,(Oct. 2016). 16th　International Conference on Liquid and Amorphous Metals (LAM-16), P29 Bonn, (Sep. 2016). 16th　International Conference on Liquid and Amorphous Metals (LAM-16), C61 Bonn, (Sep. 2016). 6th International Symposium on Physical Sciences in Space, Kyoto, (Sep. 2015), 17Th-5. 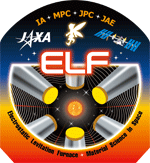 6th International Symposium on Physical Sciences in Space, Kyoto, (Sep. 2015), 16Ma/Th-1K. 6th International Symposium on Physical Sciences in Space, Kyoto, (Sep. 2015), 16Th-1. 10th Asian Microgravity Symposium 2014 Seoul, P50(Oct. 2014). 10th Asian Microgravity Symposium 2014 Seoul, O53(Oct. 2014). 10th Asian Microgravity Symposium 2014 Seoul, O51(Oct. 2014). 10th Asian Microgravity Symposium 2014 Seoul, O48(Oct. 2014). Joint Meeting of the American Society for Gravitational and Space Research (29th annual meeting) International Symposium for Physical Sciences in Space (5th meeting), Orlando,SP.31 (Nov.2013). Joint Meeting of the American Society for Gravitational and Space Research (29th annual meeting) International Symposium for Physical Sciences in Space (5th meeting), Orlando, C18.4 (Nov.2013). Joint Meeting of the American Society for Gravitational and Space Research (29th annual meeting) International Symposium for Physical Sciences in Space (5th meeting), Orlando, C3.3 (Nov. 2013). 29th International Symposium on Space Technology and Science, 2013-h-12, Nagoya (Jun. 2013). 29th International Symposium on Space Technology and Science, 2013-h-10, Nagoya (Jun. 2013). NEW GLASS 30 (2015), 28-31. Int. J. Microgravity Sci. Appl. 32 (2015), 32410. Int. J. Microgravity Sci. Appl. 32 (2015), 32104. Trans. JSASS Aerospace Tech. Japan 12 ists29 (2014), Th-15-18. Int J. of Microgravity Sci. Appl. 32(2015), 320211. J of Jpn Soc. of Microgravity Appl.25 (2008), 3-10. J of Jpn Soc. of Microgravity Appl. 23 (2006), 197. 30th ISTS, Kobe (Jul. 2015) 2015-h-14.